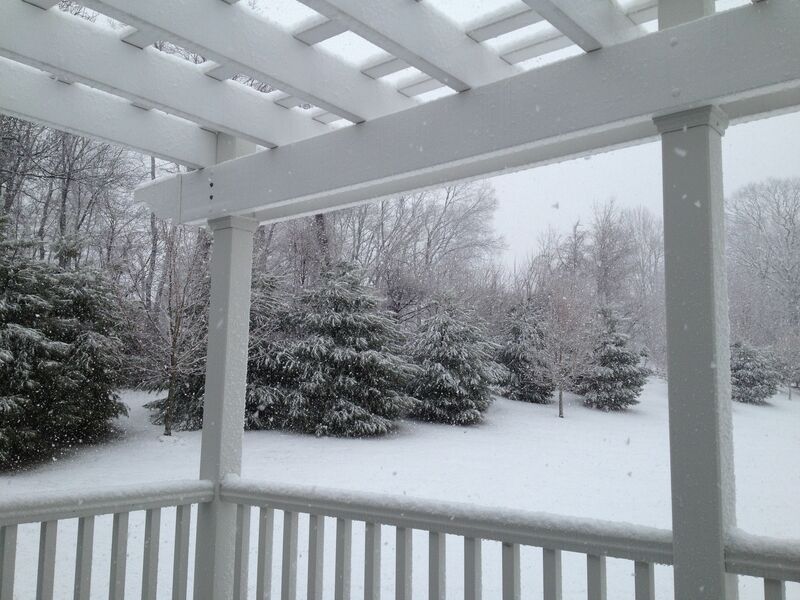 What Happened to April, May, and June???? How quickly three months can go by! So far, between the 7 months of sailing and settling back into life at home again, retirement has been very busy and not at all boring. I think it is time to update this blog. It was both easy and challenging to become “dirt dwellers” again, as Eileen Quinn calls land people in her sailing songs. The first thing I noticed was how high the ceilings seemed to be – there is so much space above my head. There is space everywhere, even in a small house, when compared to a boat. It did not take long at all to slip into the easy conveniences of land life – flushing toilets, unlimited water, hot water any time you want it, dishwasher, washer and dryer close at hand, cable tv, huge grocery stores with anything your tummy desires, space, a professional hair cut and color. Yes, it is easy and convenient, but it just isn’t as exciting as those days out on the water and in the Bahamas. The bottom line? 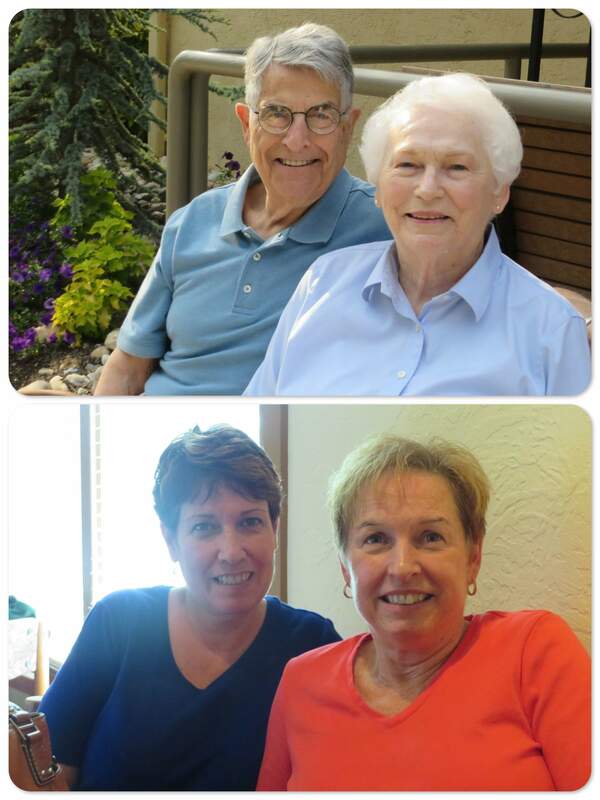 The very best part of being home again is seeing our family and friends. We missed them very much. Let’s see if I can quickly capture the past few months in mostly pictures. Yeah! My sweetheart is home!! 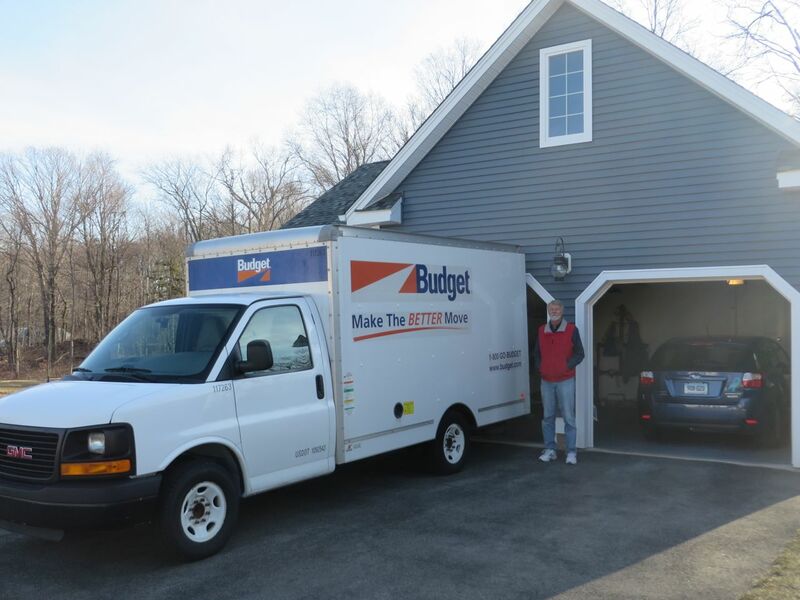 Al drove home alone in the rental truck from Florida with all of our boat belongings. He made it home just in time, by a matter of hours, for his 65 birthday. He really appreciated all of the emails, cards, videos and songs that were sent to him to help him celebrate such a landmark event. 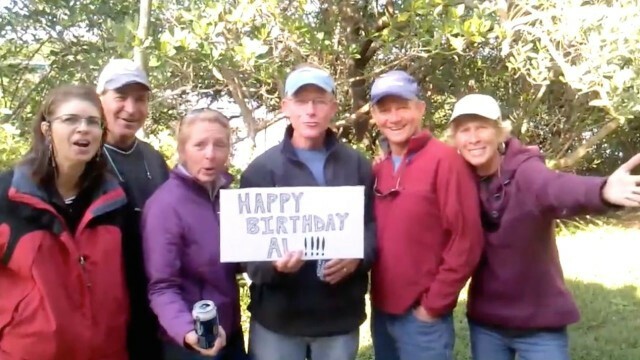 A birthday song for Al sent from Vero Beach, Florida where our water buddies were gathered. A big thank you to Cutting Class, Magnolia, and Eleanor Q! Their singing brought a big smile to Captain Al’s face. I flew home to be sure I was there in time for the anticipated grandchild’s baby shower in New York. 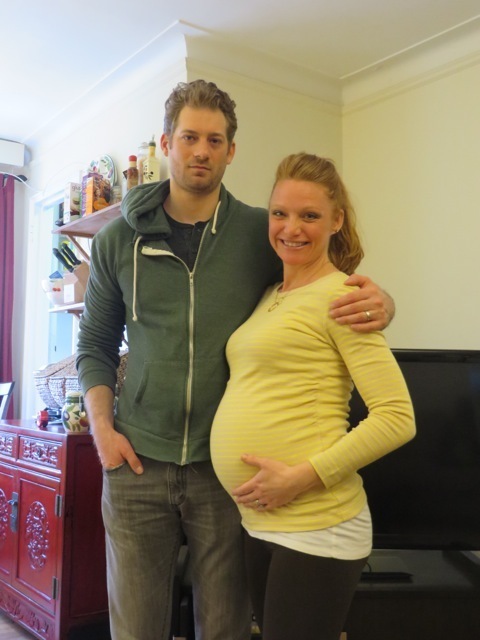 The expectant parents, Ryan and Kerri. Ahhh, Mother Nature strikes one last time on March 31st so that we did not totally miss this New England winter. April has more birthday celebrations, including a very special one – Our granddaughter, Ella, is one year old! 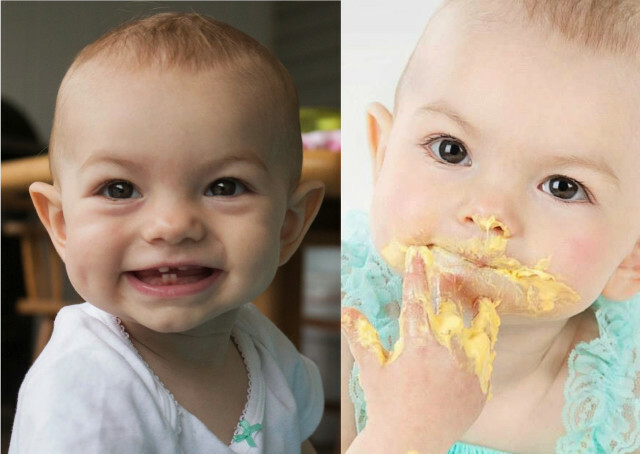 Adorable little Ella – one year old. 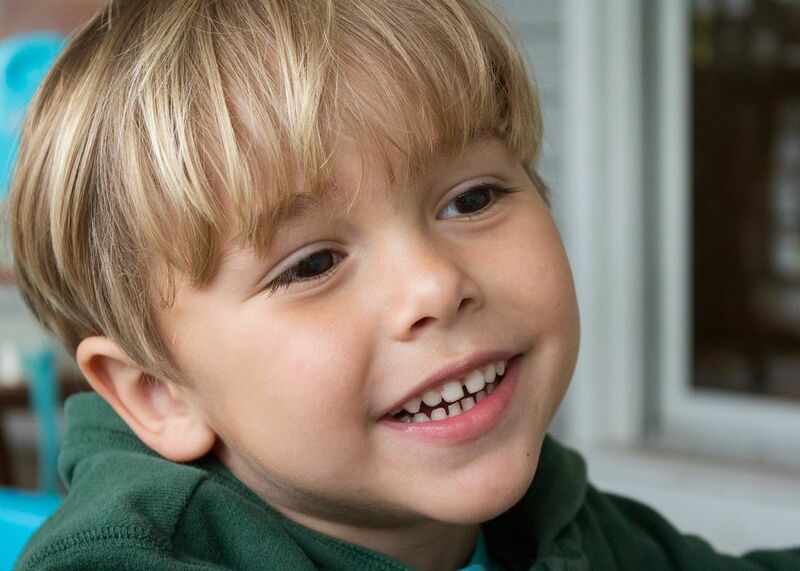 Big brother, Aaron, now 4 years old. As spring approached, we needed to find ways to occupy ourselves without a boat to prep for the season. 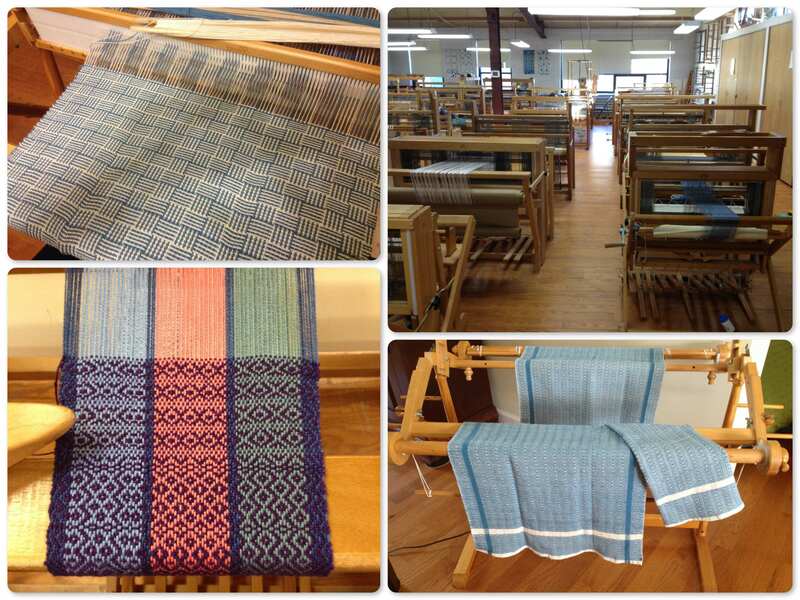 I decided to try a weaving class. Yes, I learned to weave, and it is much more complicated than I ever knew! I have a lot more to learn if I stick with it. 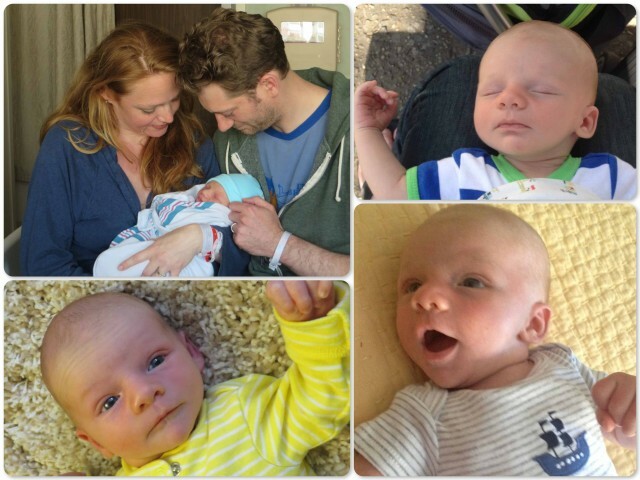 On May 16th, our new grandson, Caleb Evans, was born in Queens, New York. We are so glad we were home for this event. It is good to be retired and have the time to visit with these little ones. 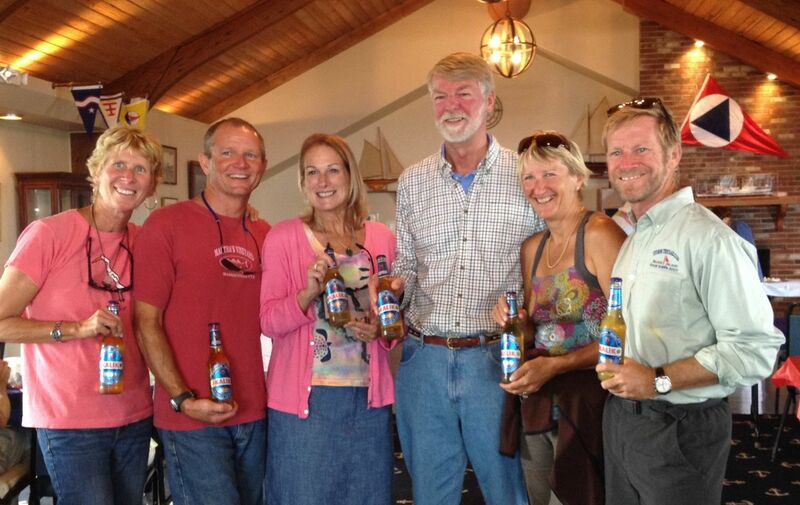 By the end of May, the other two Shennecossett boats were back in home port from their respective Bahama trips. 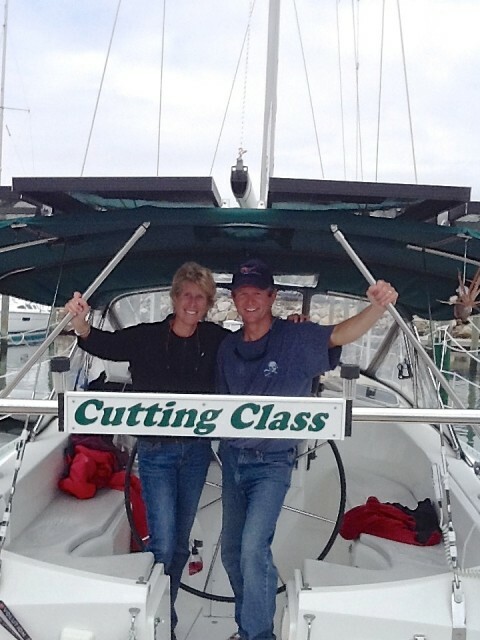 Al greeted Cutting Class at the dock when they returned home. Welcome home, Dan and Marcia! 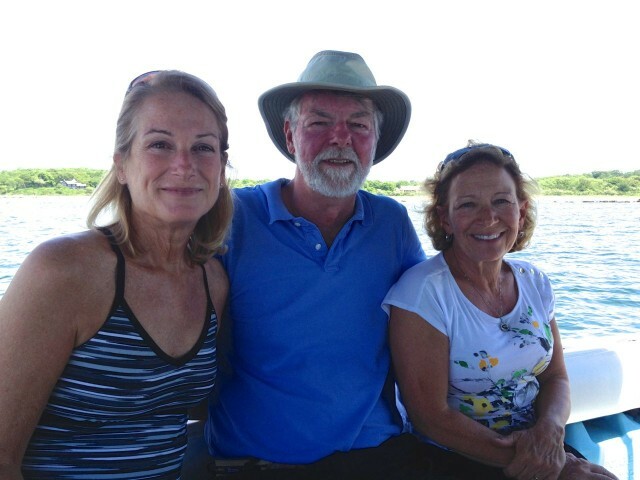 Memorial Day reunion of the Bahama travelers. We enjoyed one last Kalik together, leftover from our voyages. 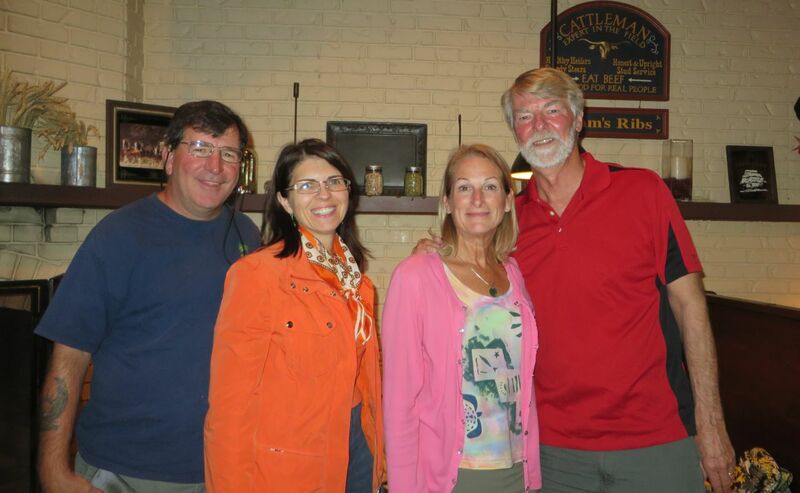 ~Left to Right: Dan and Marcia from Cutting Class, Michele and Al from Kindred Spirit, and Sue and Dave from san cles. Kalik comparison – Why is one Kalik shorter than the other? 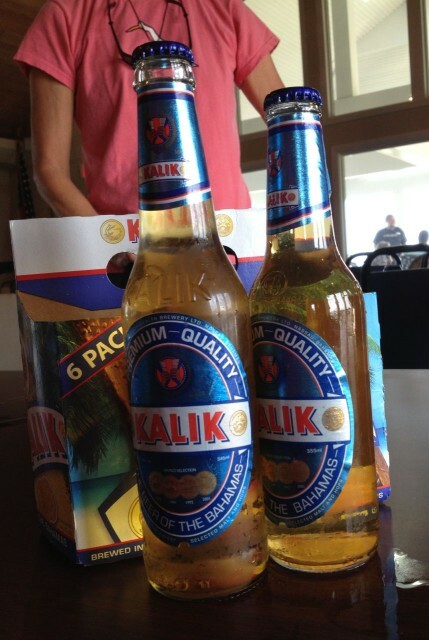 One is a “Florida Kalik” and one is an “Bahama Kalik.” Hmmm, that’s curious. Even more curious is that we don’t know which is which. Al has kept busy working and helping friends get their boats ready for the season. I end up washing the car instead of washing and waxing boat hull. 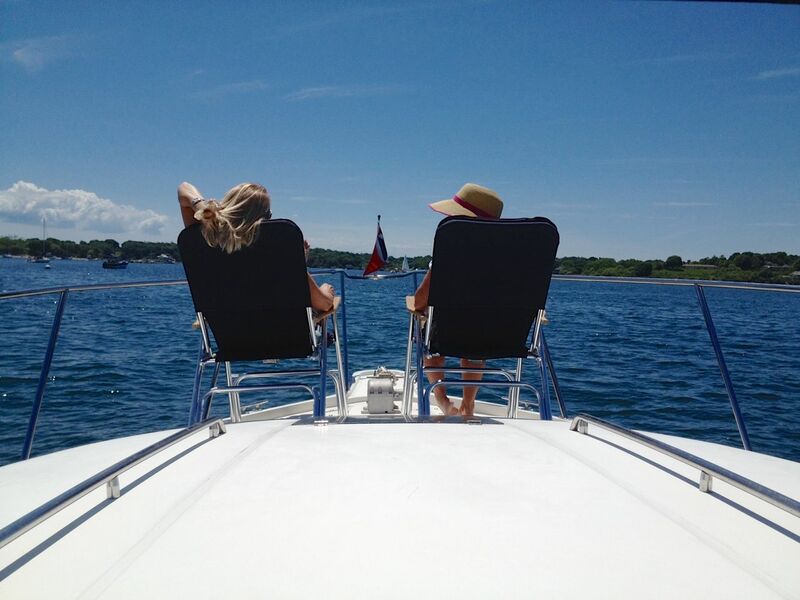 There is a saying that it is better to have friends with boats than to own one yourself. We don’t really agree with that, but our friends have sure helped us through this boat-less period. Nice to be on the water again! 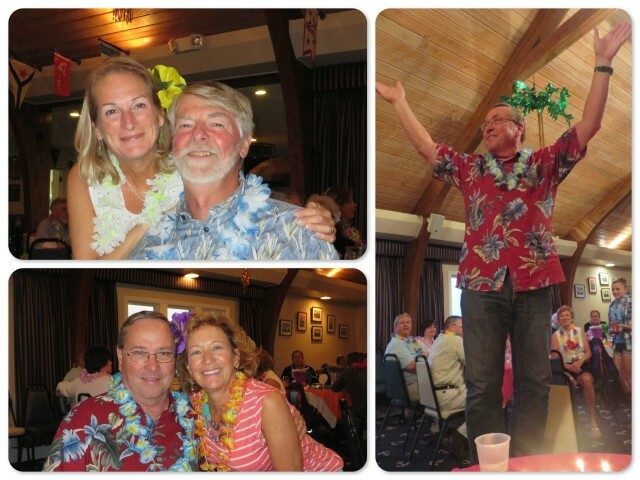 We enjoyed the SYC Full Moon Party with Mary Jo and Dean. And also celebrated Dean’s birthday. 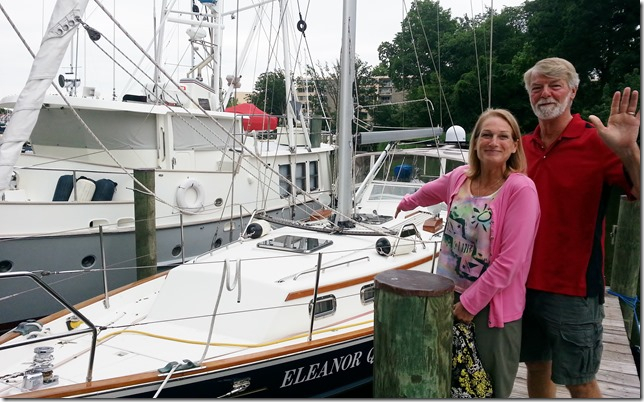 Although we did not get to see Frank and Mary Marie, we did stop by and say hello to their boat, Eleanor Q. 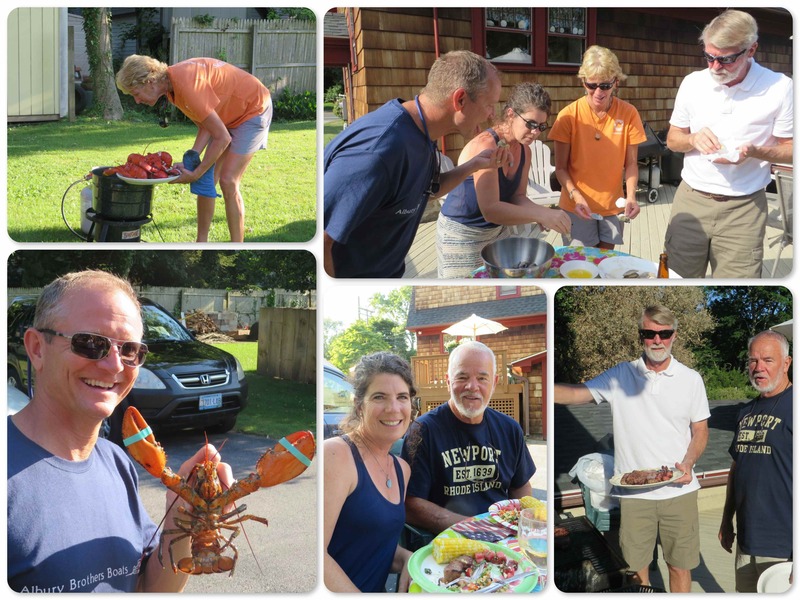 What a wonderful New England feast we had at Dan and Marcia’s with our sailing friends, Beth and Lin from Coyote. Steamers, corn, lobster, steak, and strawberry shortcake!! So nice to be able to visit my family in Pennsylvania a little more often. And sisters, Jeanne and Lisa. 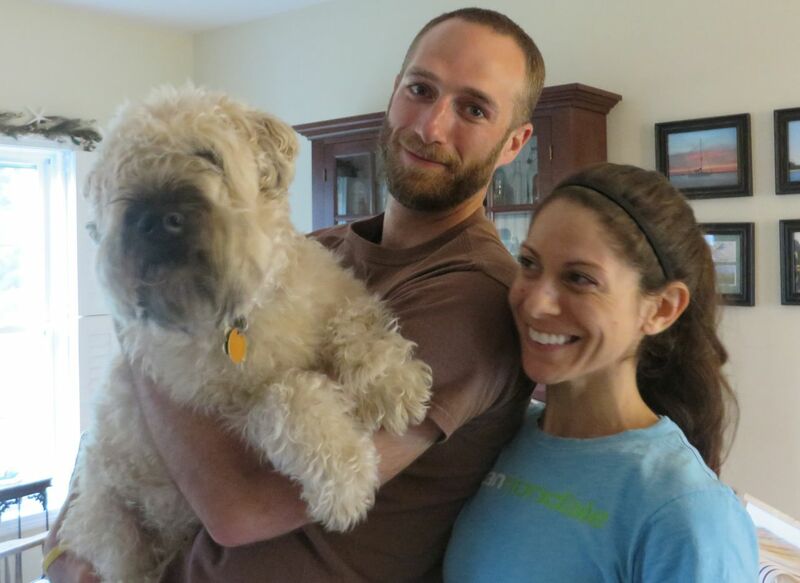 And we get to spend time with Adam, Steph, and dear Charlie, their Soft-Coated Wheaten Terrier. So here it is – July 1st. My first year of retirement has been awesome. We are so glad we were able to have our adventure, but as you can see, there is nothing as good as the people in our lives, both near and far. Sharing adventures and sharing the ordinary times with the people you love is what life is really all about.